The China-Europe Forum (CEF) was founded in 2005 as a forum for dialogue between members of Chinese and European society. An initiative from the Association of Chinese Intellectuals in Europe and the Charles Léopold Mayer Foundation for the Progress of Humankind, CEF organises major multi-party events on the biggest trends of our times (governance, law, education, urban and regional spaces, etc. ), alternating between China and Europe. In 2012, the association began focusing on the challenges posed by climate change and sustainable urban planning. As part of the China-EU Partnership on Urbanisation, since 2012 the CEF has held a series of workshops on the various aspects of the transition towards sustainable cities in Brussels, Paris, Shanghai, and Guangzhou. 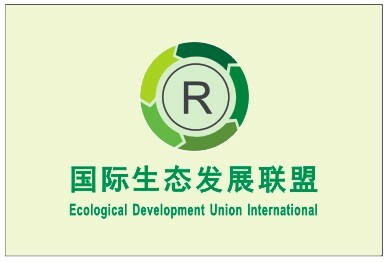 It also invested a lot of time in preparations for COP 21, organising in December 2014 the 4th China-Europe Forum on “Facing Climate Change: Rethinking Our Global Development Model”, and developing a Common Text, the fruit of a process involving European and Chinese civil society made public in 2015. At COP 21, the China-Europe Forum held a conference in the Climate Generations Area, and launched a programme of activities that included networking, company tours, green neighbourhoods, and passive buildings, with the aim of promoting in-depth discussions between Chinese and European stakeholders. Brémond Group, a specialist in project management and property development is a partner to this initiative through its foundation, Le Damier, and by providing its Land Rohan site for the project’s use. An active member of its region, Brémond Group was also a partner to the Machines de l’Île museum, testament to the creativity of Nantes and its people. The museum’s audacious contemporary creations include the dragon, Long Ma. Created to celebrate the 50th anniversary of diplomatic relations between France and China, it was offered to Beijing in October 2014. Through its company foundation, Le Damier, Brémond Group is making its own contribution to the project in France and abroad. The end goal is to enable the target audience to lead better lives in their surroundings, whether through urban planning or architecture, building or improving housing, and the development or improvement of the surrounding countryside. These actions may also set out to protect the heritage of the people covered by the project, and in every area where this heritage is present (traditional culture, buildings, landscapes, flora and fauna, etc.). The Le Damier foundation is one of the local technical, legal, and institutional contacts for the network of Chinese and European foundations taking part in the initiative. The China Philanthropy Research Institute was founded in 2010 to support the development of the philanthropic sector in China through advocacy and research and training programmes. In six years of growth, the Institute has become a benchmark for philanthropy in China thanks to the results of its training and research programmes and consultancy in the fields of education, children’s rights, and healthcare for the elderly, as well as its international exchanges. In 2015, and in partnership with five other foundations that include the Bill and Melinda Gates Foundation, it founded the International Philanthropy Academy in Shenzhen, the first school dedicated to philanthropy in China. EcoOrigin is a cluster founded in 2010 that boast 120 members, including 70 companies (Start Up, PME and ETI). Its aim is to promote a cross-disciplinary, collaborative approach between sector players to launch and support innovative joint projects from businesses, local authorities, or research bodies, and to overcome the new economic and territorial challenges set by the green transition and the energy transition. EcoOrigin’s main goal is to create a community of multi-disciplinary players to stimulate innovation by sharing skills and expertise. Its main tools are monitoring, future planning, and coordination to bring the worlds of business and research closer together, and support the projects of its members, companies and local authorities in generating business and creating jobs. A semi-consular organisation founded in 1929, Association 1901 works to promote knowledge and business, social and legal links between 18 Spanish-speaking South American countries and France and the EU, with respect for culture and the environment, focusing on sustainable development. The CCLAM is a multicultural skills platform. 1. Research, geopolitical and contextual analysis 2. Development of teaching methods and evaluation systems, as well as certified qualifications, and work with universities to approve projects 3. Formation and coordination of multi-disciplinary networks across different regions 4. Publication of research and project results to facilitate the dissemination of knowledge and project funding. Founded in 1992, the École des Métiers de l’Environnement (EME) is an educational establishment specialising in sustainable development and the environment. It offers courses so that anyone can learn what they need to know for their own project, through its three curricula: science, management, and CPD. It trains Environmental Engineers, with a CTI approved qualification, and also offers a Specialist Master’s® in the Circular Economy, a Master of Science in “Sustainable Management & Eco Innovation” and a Bachelor’s Degree in “Environmental Coordination”. The school boasts a research cluster, Cyclann, working in collaboration with industry and research labs on international environmental research projects. Located on the Ker Lann Campus (Bruz), the EME lies at the heart of a science and technology park just a few minutes from the university city of Rennes. A member of the Conférence des Grandes Ecoles, the EME is also a research and lifelong learning centre. Firmly committed to sustainable development, the teaching and support staff, as well as the students, are invested in the school’s Agenda 21 in order to set an example in terms of sustainable development and social responsibility. With its many partner companies the school works to build a greener, more responsible economy for the students it trains, one with a plentiful supply of jobs. The students are also given an opportunity to carry out one or more academic exchanges by joining one of the EME’s partner schools abroad, thereby enabling them to better grasp international issues in the environmental sector and improve their foreign language skills. The EME has established a partnership with “Qilu University of technology”, a university in Jinan, in Shandong province. The EME is also a forum for debate. A range of events are held every year to raise awareness of sustainable development and EME projects among the general public, the business world, and the full range of regional players. These projects include: conferences, workshops, and technical sessions, all taking place regularly under one roof. An EME student is first and foremost a student dedicated to a cause. The EME is involved in preparation for COP 22, and in particular learning about the environment and sustainable development.